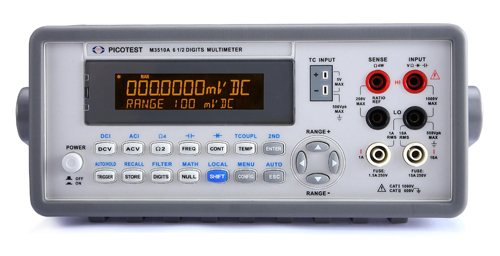 The M3510A and M3511A 6 1/2 Digits Multimeters are the newest generation of DMMs from Picotest. These new DMMs offer compact size, light weight, fast measurement speed & throughput, expanded measurement functions, systematization capability and highly usable interfaces including a standard USB interface and an optional GPIB/RS-232 interface. The M3510A and M3511A DMMs are suitable for both production and research/development use. M3510A and M3511A adopt the latest A/D technology and achieve 50,000 readings per second at 4 1/2 digits. When sending data to your computer, M3510A and M3511A can achieve high precision and stability compared to other DMMs with slow data transmission rate. With M3510A and M3511A, your work efficiency will be greatly improved, and the operational cost will also be greatly reduced. The dual measurement display feature of M3510A and M3511A offers two measurement results displayed at the same time and it is easy to set up and configure. For example, when measuring DCV, you may also conduct Thermocouple measurement on M3510A. This allows you to observe temperature change while making other measurements. M3510A can function as a multimeter and a thermometer in one. The M3510A and M3511A DMMs support the RTD temperature measurement and support the standards such as ITS-90, IEC751 and Callendar-Van Dusen. The RTD function is recommended for more precise measurement. 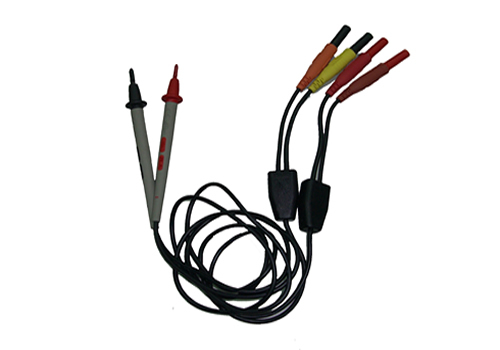 M3510A also provides the Thermocouple (TC) function. It has a built-in cold junction compensator for improved TC accuracy. Without additional plug-in's and reference temperature settings, you can measure temperature directly via Thermocouples of K, J, R, S, T, E, N, C and B types. The M3510A and M3511A DMMs offer the capacitance measurement and dual measurement display, in addition to standard measurements, such as DCV, DCI, ACV, ACI, 2WΩ, 4WΩ, Frequency, Period, Thermocouple & RTD, and the math functions, such as Limits, Ratio, MX+B, %, dBm, dB, Min/Max & Null. Measurement ranges have also been expanded. For instance, DC and AC Current Ranges now go up to 10 A. 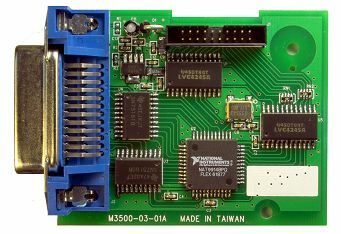 The M3510A and M3511A DMMs adopt an analog conversion technique to provide true RMS value for ACV/ACI measurements regardless of the waveform shape. Only the “heating value” of the AC components of the input waveform is measured. 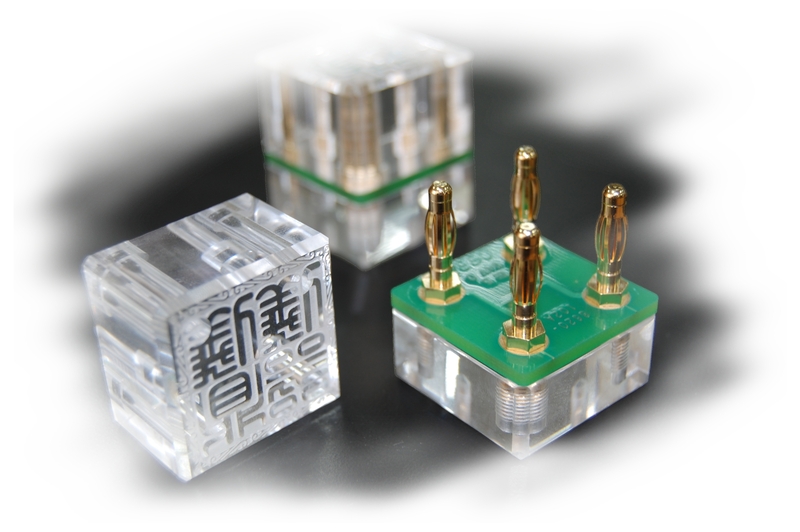 For non-symmetrical waveforms, such as pulse trains, the DC components will be rejected by the RMS measurement. Configuring M3510A and M3511A is straightforward. Unlike other DMMs with complicated operation modes in the configuration menu, M3510A and M3511A offer easy-to-use SHIFT, CONFIG, ENTER buttons, arrow keys and corresponding softkeys at the lower part of the display across all the measurement configurations. Using equipments from Picotest just gets easier than ever. 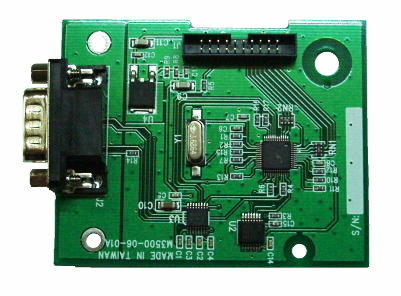 A high-speed USB interface is built into both M3510A and M3511A. 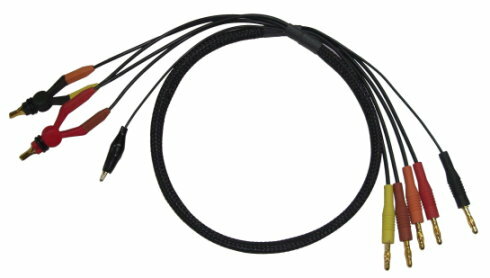 An optional GPIB/RS-232 interface is also available. The included USB interface conforms to the USBTMC protocol. Both M3510A and M3511A can be operated through USBTMC compliant software. So get M3510A and M3511A now to replace your old DMMs while keep your existing USBTMC compliant software. The M3510A and M3511A DMMs are of high reliability and comply with CE requirements, from well-packed cartons with the shock absorbing bumpers to careful component selection, circuit protection design, rigorous environmental tests and ISO9001 production. Defective products can be returned with free repair/calibration with one-year warranty. The M3510A and M3511A DMMs are shipped with the PT-TOOL & PT-LINK software. With the software, you can quickly establish an error-free connection between your PC and the equipment. Both M3510A and M3511A conform to Standard Commands for Programmable Instrumentation (SCPI). 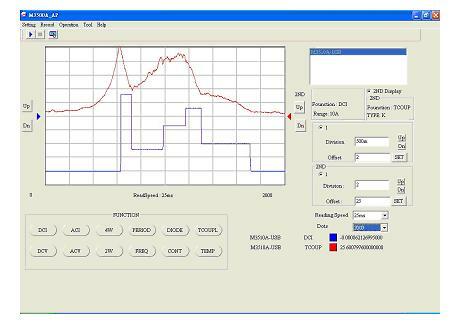 PT-TOOL is a similar virtual oscilloscope software, which can monitor the DUT with scope display style. PT-LINK is used to collect measurement data in Microsoft Excel or Word and analyze it with charts. In addition, engineers are allowed to compile our Labview Driver for specific applications. This is one of the PT-Tool Applications for observing temperature variation while the current passes through a specific resistance. In the following graph, new data are inserted from the left. We can easily observe from the graph that the resistance temperature increases or decreases with the current. If problem occurs while operating M3510A and M3511A, it is recommended to do the self-test first. If you need to perform basic adjustments for Zero & Gain, please follow the instructions in the M3510A/M3511A Service Manual. A calibrator with at least 6 1/2-digit precision and a shorting plug are required. For a complete calibration with factory reports, contact your local service representative to return your DMM to PICOTEST. Standard : CD (user manual and software applications), power cord, test leads, and USB cable.